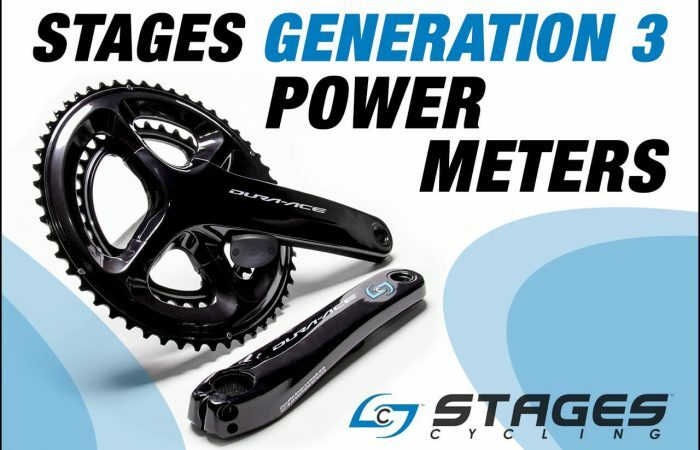 Since the introduction of the first power meter in the late 80’s, the market has grown substantially – both in terms of manufacturers and types of power meters. However, the majority of power meters have been aimed at road cyclists. Why? It’s just a bigger market and that’s where more of the demand is. In addition, some power meter types, such as pedal- and chainring-based power meters, don’t currently exist for MTB. But if you’re an MTBer, things are starting to change for the better. 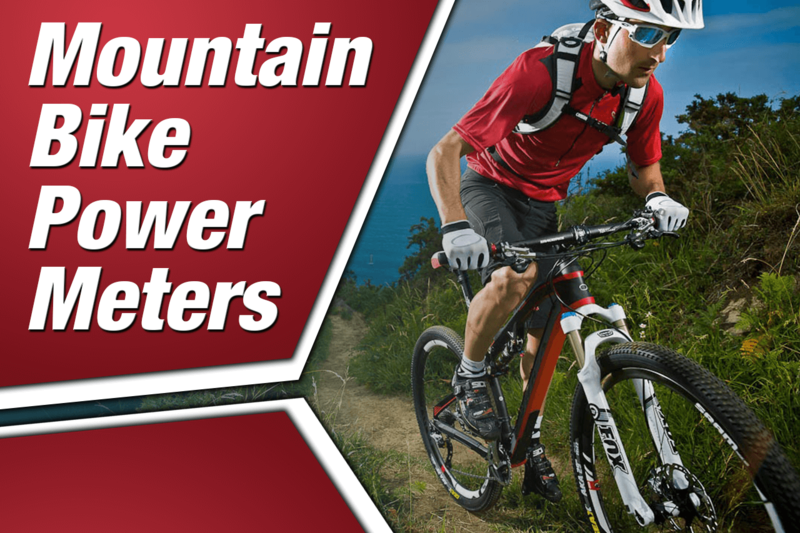 In the last several years, there has been increasing demand from the offroad crowd for power meters, and manufacturers have responded by introducing new and better mountain bike power meters! While the road market still dominates demand, there are several different mountain bike power meters that are available. In fact, of the seven types of power meters that are available for road bikes, five are also available for MTB (crank, hub, crank arm, handlebar and bottom bracket). In fact, a pedal-based power meter is the main type of power meter that is still lacking for MTB. (While we’re not aware of anyone that is currently working on one, we remain optimistic that someone will bring one to market.) So across the five power meter types that currently exist for MTB, the chances are high that you can find something that fits both your bike and your budget. In this article, we will review your options for adding power to your MTB! Mountain bike power meters are just like their road bike counterparts. The power meter’s house strain gauges and electronics within a bike component. This could be within a crank, hub, crank arm, etc. The strain gauges measure the power, or torque, produced by the rider. They also measure cadence, using either accelerometers or magnets. 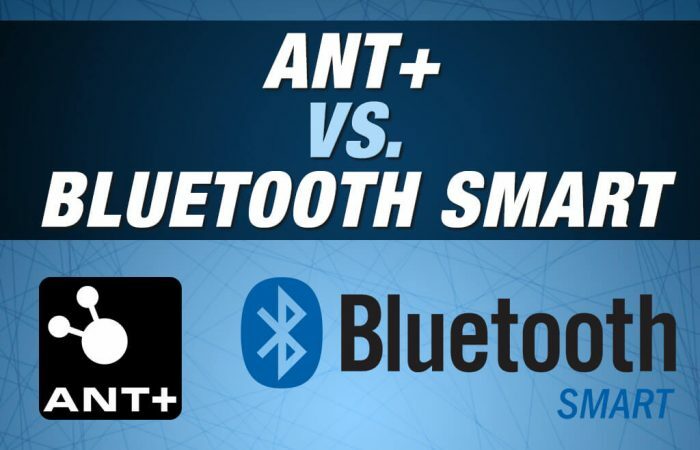 Both power and cadence information is sent wirelessly to your head unit using either ANT+ or Bluetooth SMART. 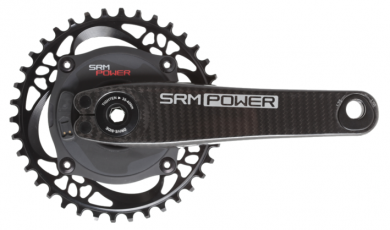 SRM is widely known for manufacturing some of the best road power meters. Their mountain bike power meters use the same spider-based design and are every bit as good. SRM’s flagship MTB power meter is the SRM Origin MTB Power Meter. The SRM Origin MTB uses a super stiff and light LOOK carbon crank arm with Trilobe Technology. The SRM features a rechargeable battery, +/- 1.0% accuracy and weighs in at only 599 grams. It’s not cheap, but is definitely one of the best MTB power meters available. FSA offers their PowerBox, which is available in a carbon version for MTB. The FSA PowerBox MTB Carbon uses power2max’s proven spider design and comes with FSA aluminum chainrings and FSA hollow carbon composite arms. The power meter uses a CR2450 battery and is accurate to within 2.0% (industry standard). The FSA PowerBox MTB Carbon sells for $1,150. When compared to other options, this price point is actually quite reasonable for a MTB crankset-based power meter. power2max makes spider-based power meters for road, MTB and track. They offer both complete cranksets, as well as stand-alone spiders (like the one pictured here). 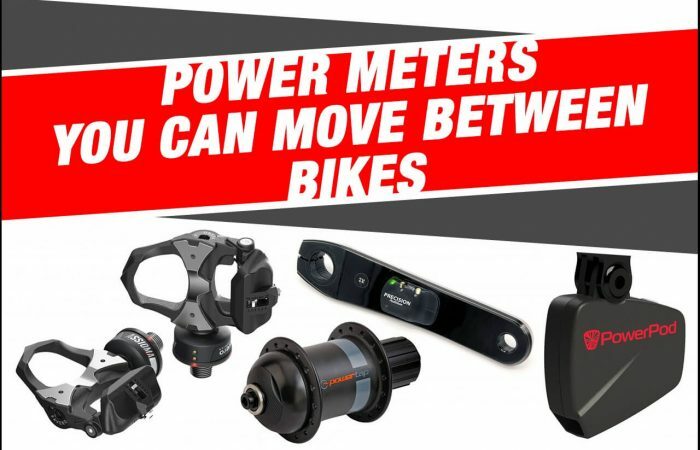 Like the other MTB power meters in this category, they measure both left and right leg power and feature left/right power balance, Bluetooth SMART and auto-zero. power2max power meters are accurate to +/- 1.0-2.0% (based on the model) and starting at $590, they represent an amazing value. 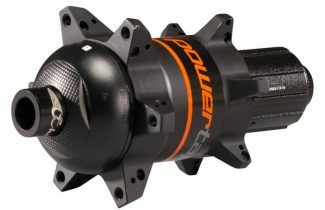 PowerTap manufactures a MTB-specific version of their popular G3 hub. 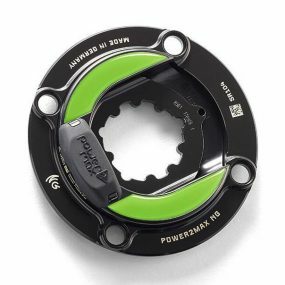 At $499, the PowerTap G3 Rear Disc Hub is a fantastic option for anyone looking for a dedicated, MTB-specific power meter. Like all PowerTap hubs, the G3 Rear Disc Hub features +/- 1.5% accuracy, Bluetooth SMART technology, and transmits power, speed and cadence data. Both 4iiii Innovations and Stages Cycling manufactures MTB power meters. 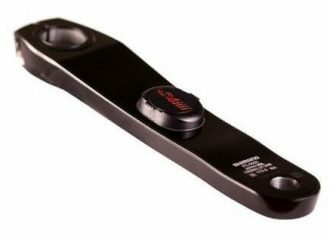 These left-only crank arm-based power meters replace your current left side crank arm. These units take the power that is generated by your left leg and double it in order to determine your total power (which is how all left-side power meters operate). 4iiii makes the PRECISION which is compatible with Shimano cranksets. Currently, they offer the 4iiii PRECISION Shimano XT M8000 for $499 and the 4iiii PRECISION Shimano XTR M9000 for $599. The PRECISION is one of the more affordable direct force power meter available. It is also extremely light with an added weight of only 9 grams. 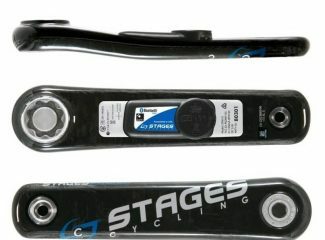 Stages Cycling makes units that are very similar to 4iiii, however they offer a wider selection with MTB versions for Shimano, SRAM and Cannondale. 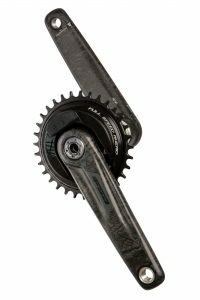 Prices range from $579 for the Stages Shimano XT M8000 to $699 for the Stages Carbon SRAM BB30. Velocomp’s PowerPod Power Meter, with models starting at $199, can be used on any bike, MTB included. 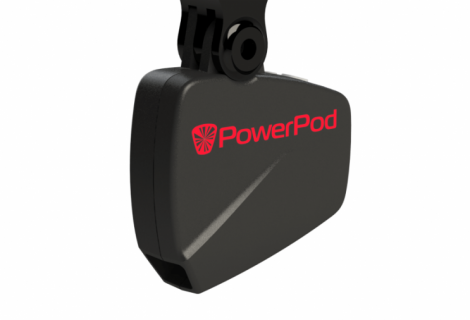 Unlike the other power meters discussed here which are direct force power meters and use strain gauges to measure power, the PowerPod mounts on your handlebars and uses opposing force technology. In order to account for off-road terrain (bumps, rocks, etc. ), the PowerPod features Dynamic Coefficient of Rolling Resistance (DCRR). DCRR enables the PowerPod to measure road vibration 800 times per second and convert the measurements into rolling resistance corrections. This keeps the PowerPod accurate regardless of road surface. ROTOR makes mountain bike power meters that use strain gauges located in the axle. 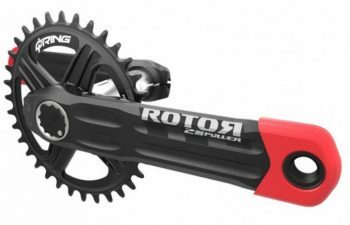 Their newest offerings are the ROTOR 2INpower MTB and ROTOR INpower MTB cranksets. These mountain bike power meters are made to run in a 1x (single chainring) configuration and feature Bluetooth SMART and rechargeable li-ion batteries. In addition, with a second strain gauge located on the chainring side, the 2INpower MTB can measure total as well as independent left/right power. Race Face also offers a bottom bracket-based power meter. 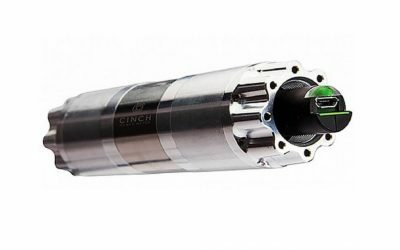 The Race Face CINCH is a power-equipped spindle that replaces your current spindle. The CINCH sells for $599 and is compatible with Race Face cranksets such as the Next SL G4, Next G3, Next R and Turbine. Like the ROTOR 2INpower, the CINCH features Bluetooth SMART and rechargeable li-ion battery technology. However, it measures left leg power only like the ROTOR INpower MTB. We are big fans of pedal-based power meters. They are easy to install and are compatible with almost any bike. In addition, they can be transferred between bikes easily and offer dual-sided power measurement. PowerTap, Garmin, Favero Electronics and LOOK (in partnership with SRM), all make pedals for the road. However unfortunately, if you’re looking for a pair of MTB power meter pedals, you’ll have to wait. Currently, none of these manufactures, nor anyone else for that matter, currently makes an MTB pedal. We hope we’ll see one soon. PowerTap makes the C1 Chainring Power Meter, which uniquely measures power at the chainring. However it mounts to 110 BCD 5-bolt road cranks only, so it doesn’t work with MTB cranksets. We don’t believe there are plans for a MTB version. While there are not as many mountain bike power meters as there are road options, you should be able to find something that works among the available options. Based on our experience, the two most popular MTB options are the crank arm-based power meter (4iiii and Stages) or the spider-based design (power2max). While the crank arms only measure left leg power, they are affordable and easy to install. In addition, you can find one to fit almost any crankset. The power2max takes a bit more work to install, but they are also affordable and unlike a left-side crank arm, they measure power from both legs. If you plan to make a change to your crankset (perhaps you’re moving to a 2x or 1x setup and have to buy a new crankset anyway), you might consider a crank-based power meter. These units cost a bit more, but they measure both legs and some also offer independent left/right power measurement. If you want to explore your options in more depth, give us a call – we’re here to help!